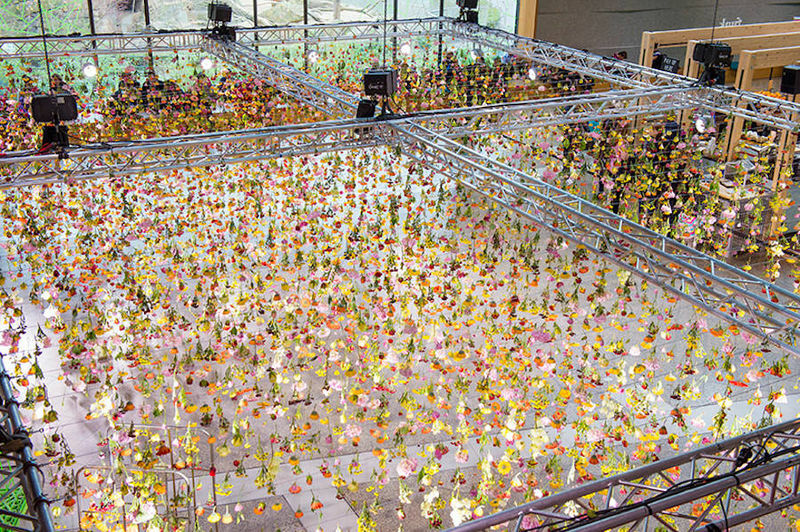 Rebecca Louise Law’s floral art installation encompasses 30,000 fresh flowers all carefully hung into place. 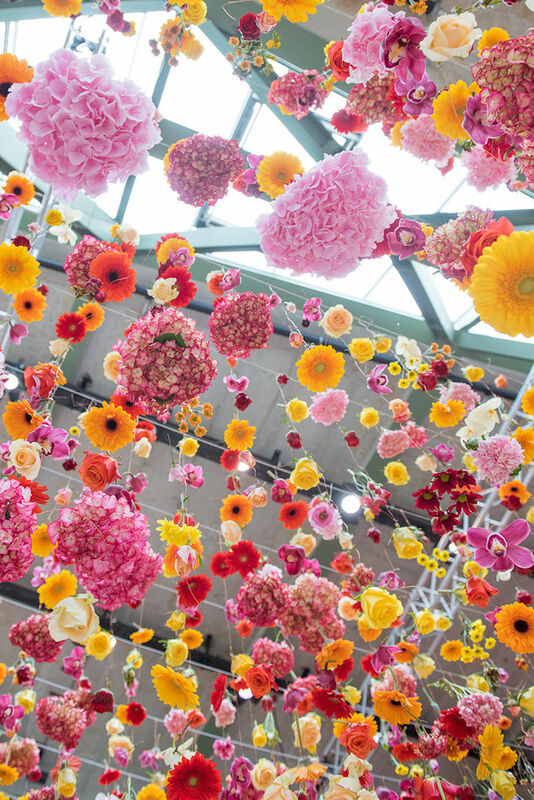 The suspended masterpiece was created for Bikini Berlin shopping centre and features flowers of all types, colours and shapes. 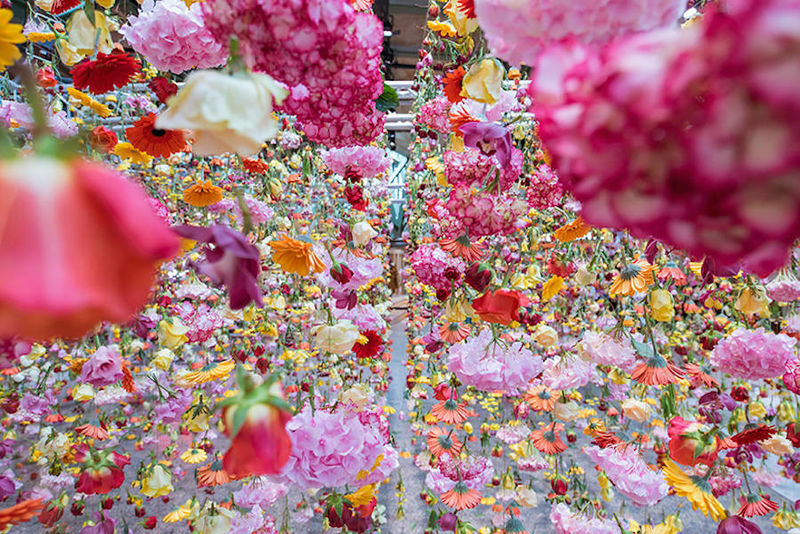 The flowers were provided by Tollwasblumenmachen for East London born artist Rebecca Louise Law to generate an immersive experience for the by passers of Bikini. 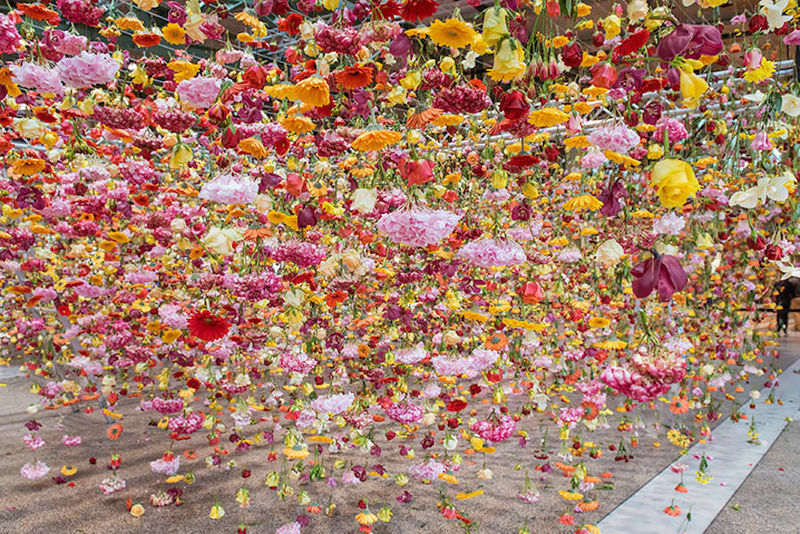 Not only is the installation breathtakingly beautiful whilst looking forward to the summer but, people are flocking to the shopping centre to just catch a glimpse of the finite showcase. Law, has created a memorable and unexpected experience at Bikini that immerses its visitors.